Repair Mainboard Laptop. Laptop repair center Hoang Vu is the center of laptop repair prestigious in Ho Chi Minh. 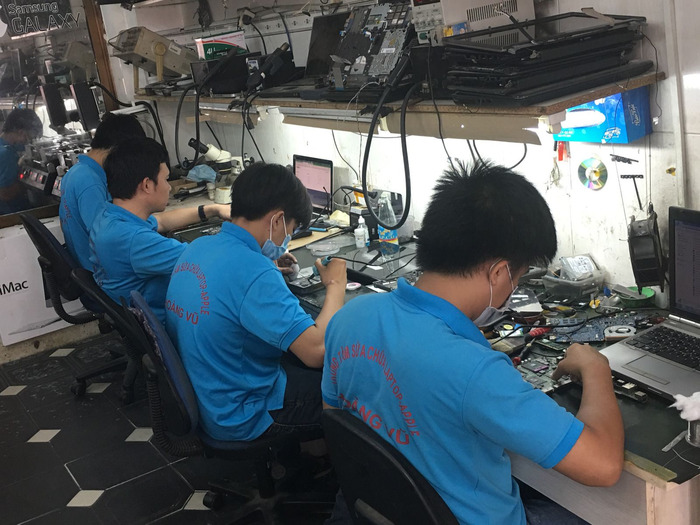 With a team of experienced laptop repair technicians and a leading laptop repair brand in Saigon, we will provide you with the best laptop repair service. At present, the 3rd generation of Core I or higher laptops have a different design than previous generations. 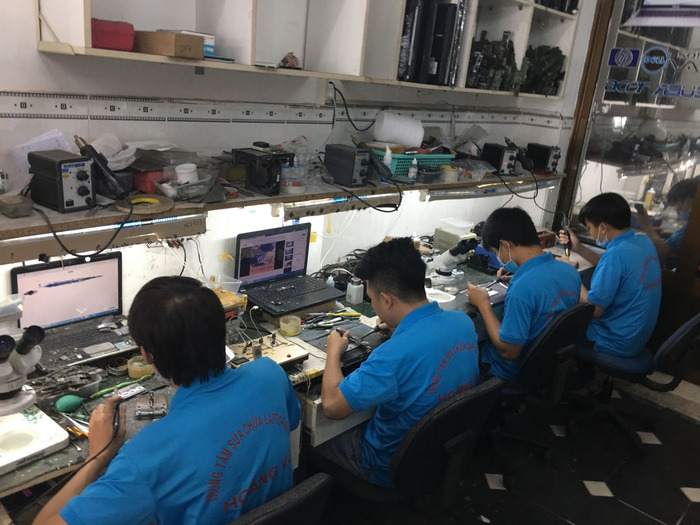 Hoang Vu Center is always updating new repair methods and modern repair technology to meet the need to repair and repair the mainboard successfully over 90%. When your laptop is experiencing problems, please find the experts to repair mainboard laptop to use a service the best laptop repair today. You will be using professional laptop repair services along with after-sales and lifetime warranty for your laptop. Order rom bis break pass laptop get 300,000 - 600.000 VND. 1. Repair the lost laptop power source. 2. Laptop repair turned on but not on the screen. 3. Laptop touched the source. 4. Replace the Vga Laptop Chip. 5. Unclock Pass Bios Laptop. 6. Fix the laptop not get the hard drive. 7. Change laptop speakers to all models. 8. Install Win on the Laptop. 9. Fix the laptop does not accept USB. 11. Replace the laptop battery immediately. 13. Upgrade RAM, Laptop HDD. 18. Unlock Your Laptop Password. 19. Fix Your Laptop Without Power ..
20. Fix Laptop No Battery Charger, Fix Laptop Without Battery. If you need to repair laptop or use the service repair mainboard laptop please contact us through hotline: 0916.472.445 Mr Vu for free consultation. Counseling enthusiastically about problems that customers encounter.